Item number 1093/1 from the MOA: University of British Columbia. 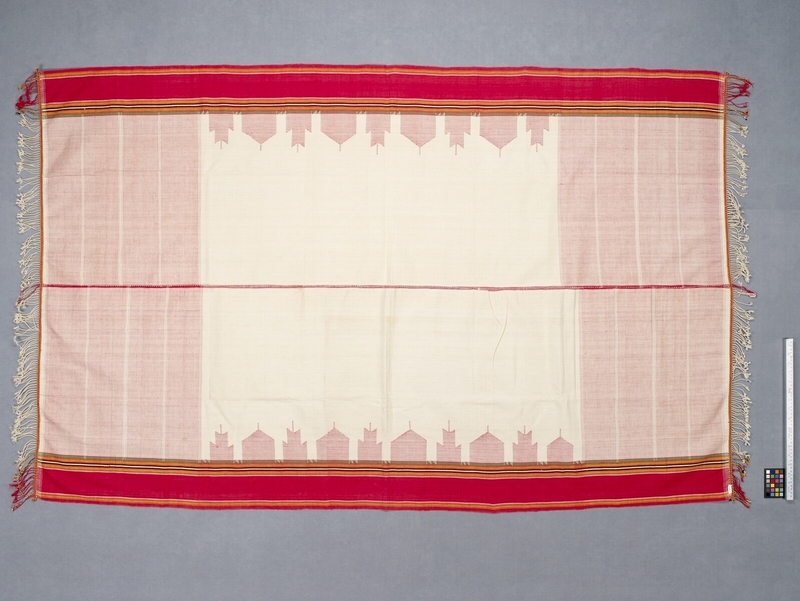 Long, rectangular cotton textile consisting of two panels sewn together in red, down the middle. There is a twisted thread fringe on each end. The sides have the red border followed by orange, black and green stripes. 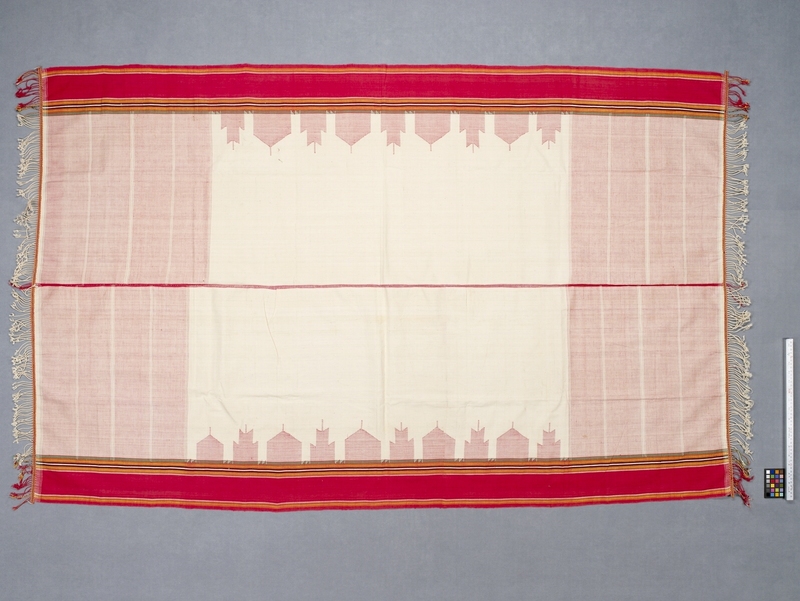 The middle has a light red and cream striped design with a central cream panel with light red house-like images along the sides.